To save more in purchasing your graduation wardrobe, always make certain to check for special packages on offer in stores like Gradshop.com. Buying packages allows you to save on items which would have normally cost you more if you purchase them individually. 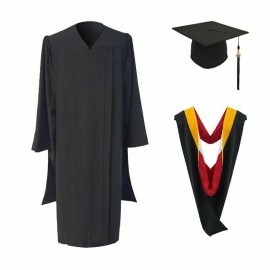 A great example of this would be Gradshop's Deluxe Masters Graduation Package. This includes an outstanding matte black graduation gown, a cap, tassel and hood at a price much lower than if you were to buy each of them separately. Another great thing about this is that when you buy your graduation package from Gradshop, you can be assured that you're buying high quality graduation items at extremely affordable prices. 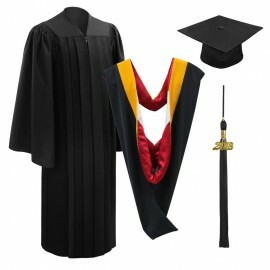 Look your best on your graduation day and gain major savings while at it by going with any of Gradshop's College Masters Graduation Gowns, Caps, Hoods and Tassels packages. Take advantage of our convenient online ordering system and order yours now!